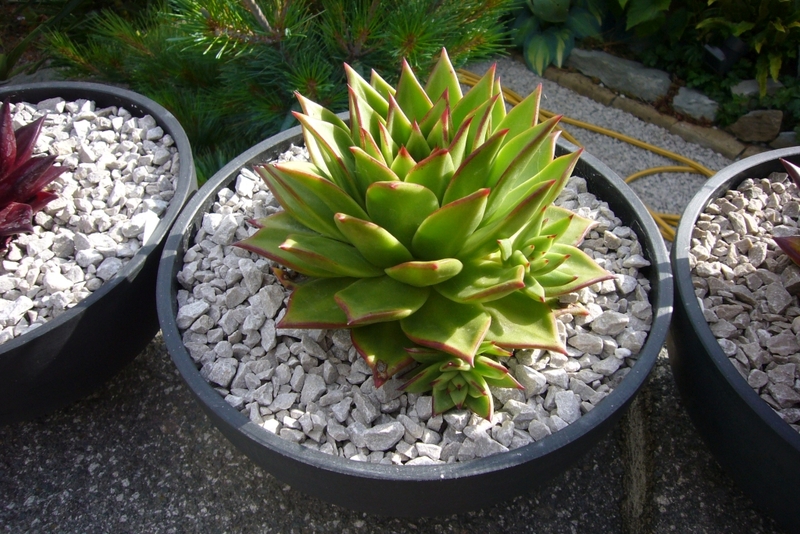 The plan at the start of the summer, was to bring my echeveria agavoides forms together into a standard plant pot for display. Finally after 3 months of failed pot deliveries, don't get me started, the pots arrived and the planting could begin. 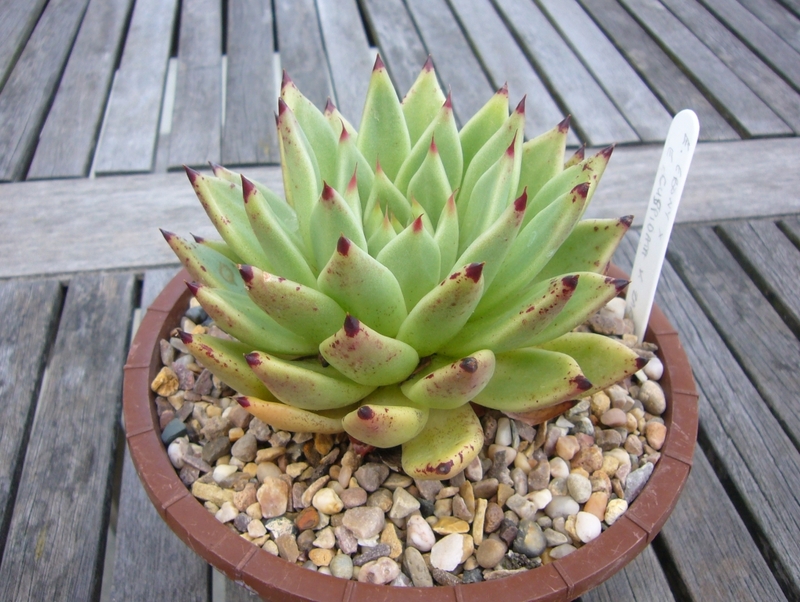 One of the most common echeveria, agavoides is prolific not just in offsets but in the number of named forms / cultivars. I have some, but by no means all and there are more appearing on the market all the time. 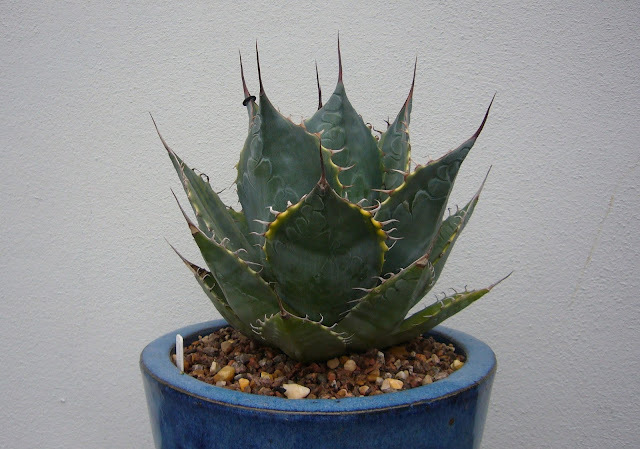 There seems to have to two main shapes; the more structured forms such as Ebony and Lipstick / Red edge, and the flater slightly looser corderoyi forms like Romeo and Sirius. Starting with the structural forms one of the most common is Red edge. 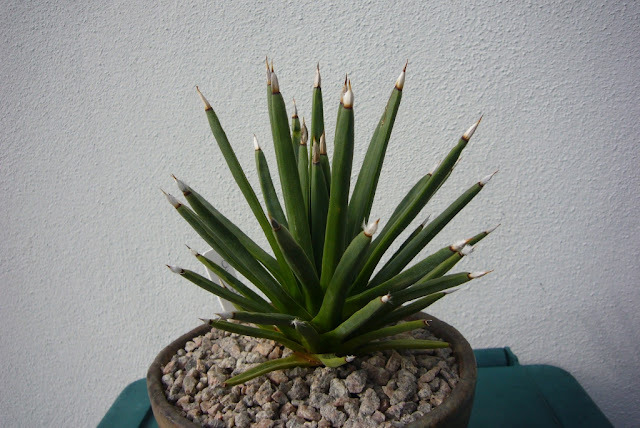 There are lots of plants out there with different names, Lipstick being the most common, which I believe are so similar it is not worth splitting up. 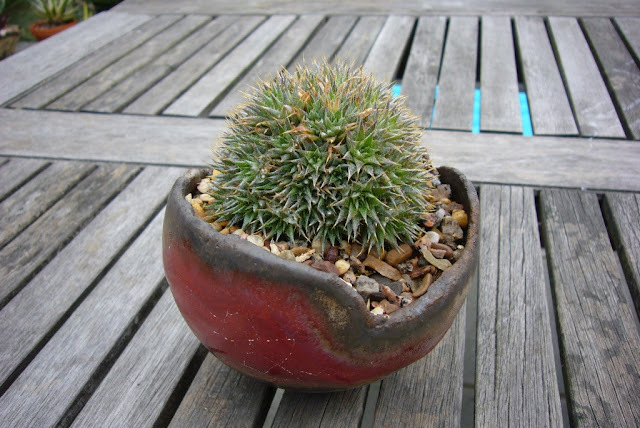 This is a prolific offsetter and you will end up with a clump in no time at all. It's a simple step to the next form Ebony. Basically keep selecting the darkest leaf tips, until you get an almost black one. Without doubt my favourite form Ebony is probably the one everyone wants. It is big, bold and very structural. 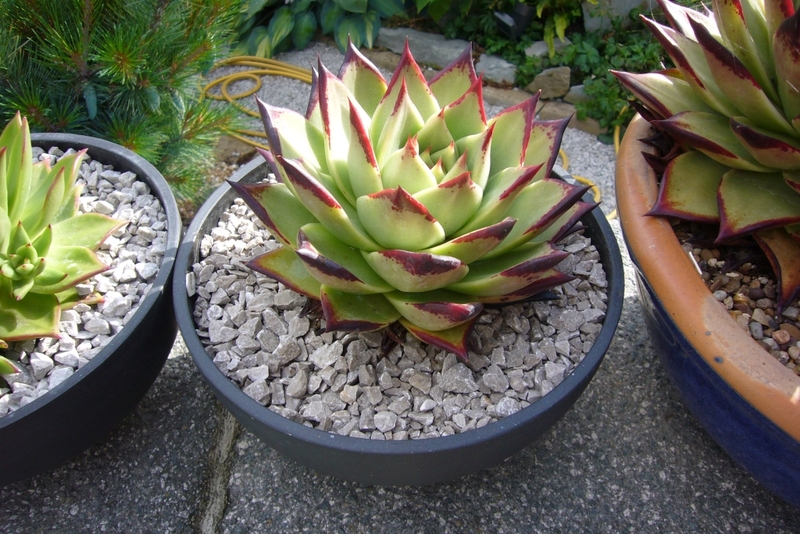 In the UK this is the form you get when you buy Ebony, the darkness of the leaftips depends on the light and water levels. If you are in the US there is a form from Huntington botanic gardens, where the area of black is bigger than on these. Normally I am not big on variations and think it doesn't matter, but in this case if you can get the Huntington clone, do. 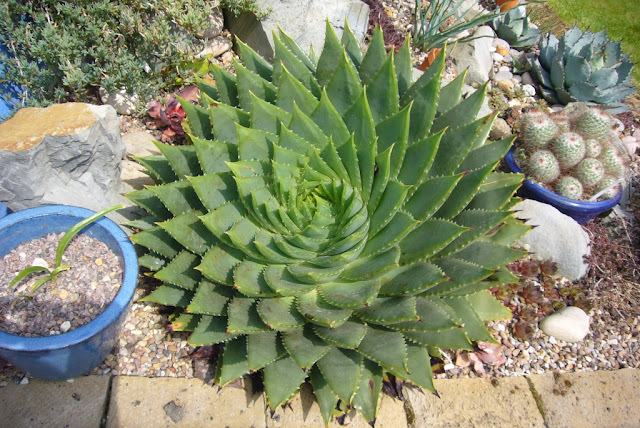 I grew a few of these from seed and have another large bowl of them, the largest is easily over 30cm now. 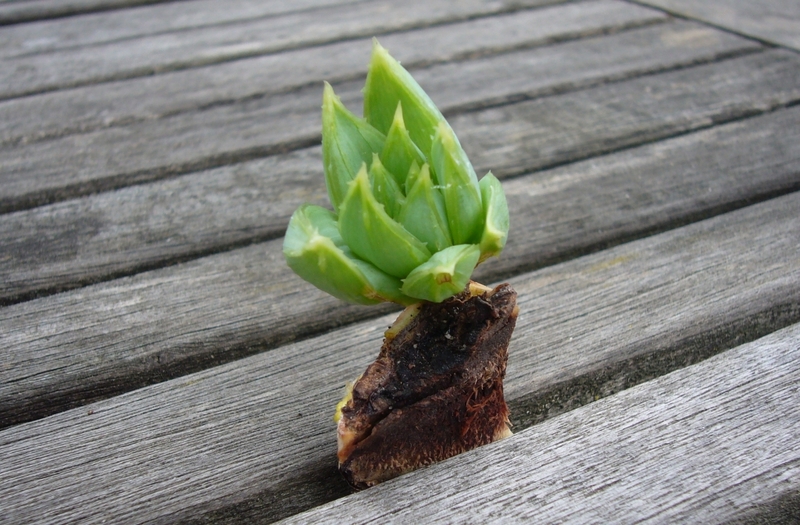 One of the seedlings in the batch decided not to develope any black tips at all. At first it started looking exactly the same as the other seedlings, just with no black tips, but slowly became more blue and the black appeared in spots. The other strange thing about this seedling, is that it offsets freely. Unlike normal Ebony, which doesn't seem to offset that freely. I definitely prefer the more structural forms, but there are a few of the corderoyi forms that have snuck in. The most common is Romeo. I guess the method of selecting plants works just as well for colour as form. 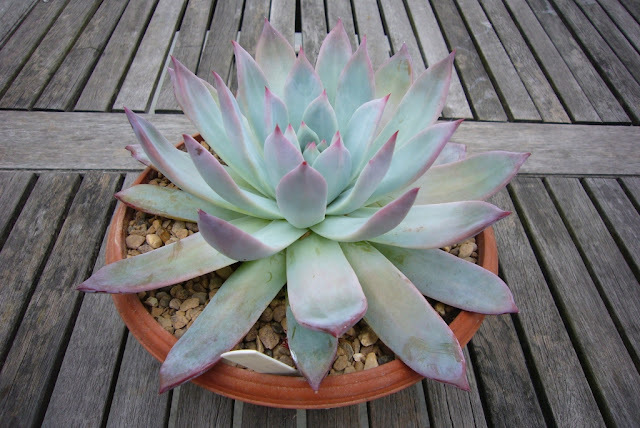 Romeo was one of the first of this form available and still the most common in the UK. About a year later Sirius started to appear, which has a more blue tinge to the colour. Mine has gone a very strange set of colours. I'm not sure if it's the sun, soil or what. These forms seem to be smaller, or at least slower than the other forms, but still suffer the same lack of offsets. I swore that would be it, but this year a new one turned up Bordeaux. The colour is the darkest I've seen. As mentioned at the start there are a lot more of these out there. Obviously there is always one more, and Miranda turned up recently. This looks interesting in the photos, so time will tell. I guess I'll be needing another pot at some point. 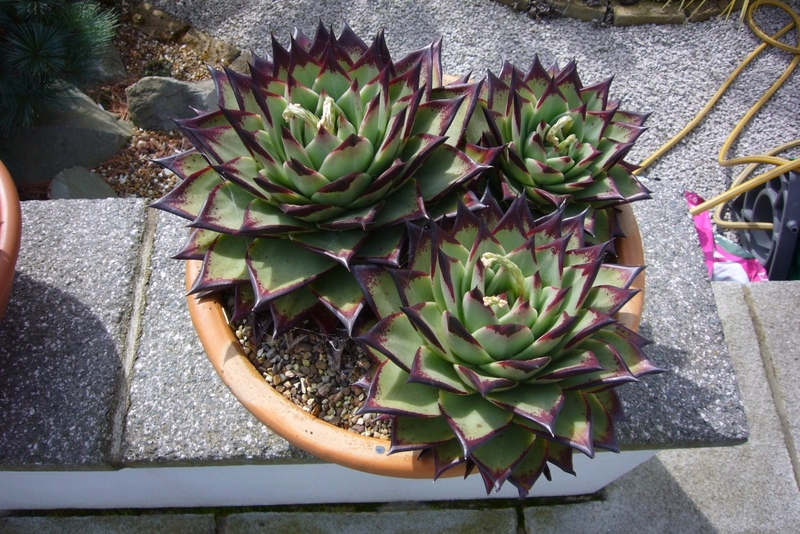 Then you have the hybrids, which I even have some of my own, but the one I would recomend is E. agavoides x E. cuspidata var. 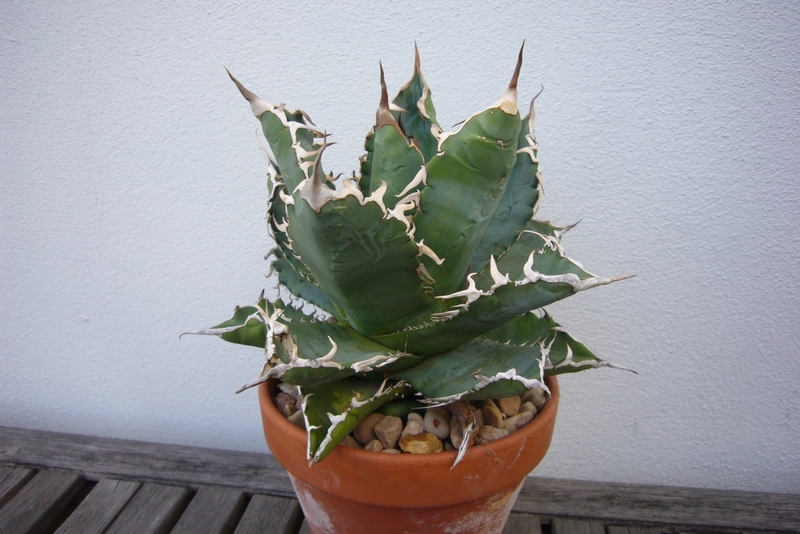 zaragoza, which you sometimes see sold as E. 'Arrow' due to the black leaf tips. There you have the echeveria agavoides collection. 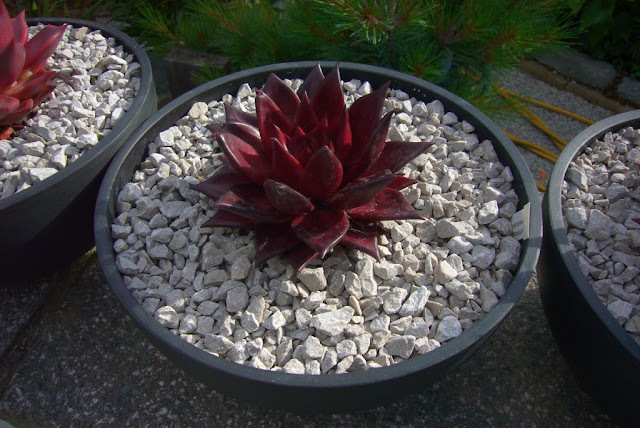 The black pots are 30cm diamter to give you an idea of the size. They just about still fit on the wall. So those are the ones that have made it into my colection, which ones do you have? The succulent rockeries have greatly reduced the number of plants in pots (down from over 400), but there are still one or two that can't be planted. I have been slowly building a set of nicer pots and some of these have even been left to get on with it, instead of plants being moved every year. The problem with these really small pots, is stopping them drying out. 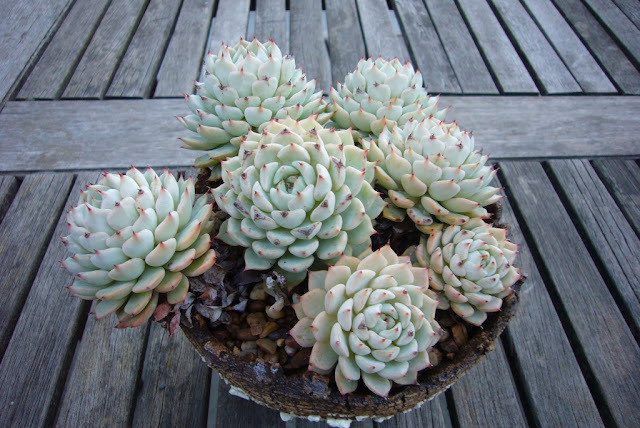 I am tempted to start again with this one, in the hope of getting a more lush clump of plants. Others have been more successful. The abromeitiella chlorantha is starting to fill the pot. 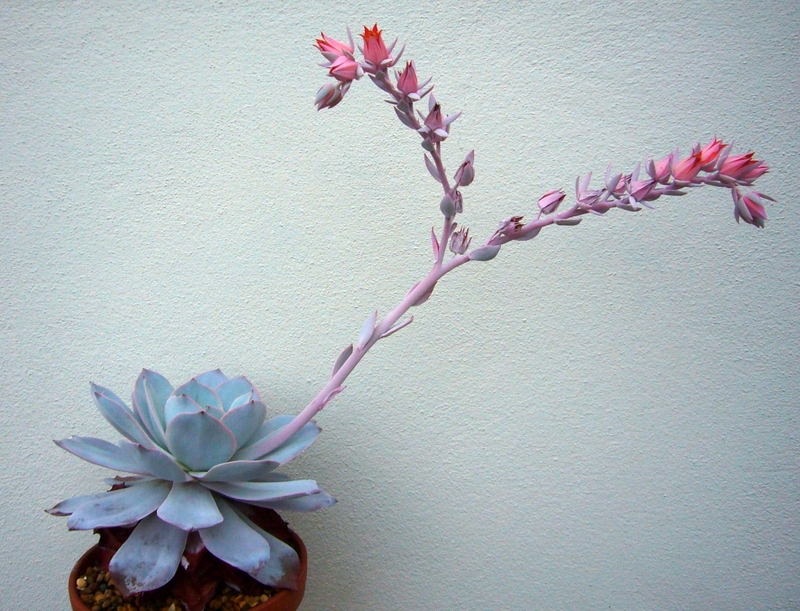 It dried out a bit over winter, but has come back, with only a few brown leaf tips now. 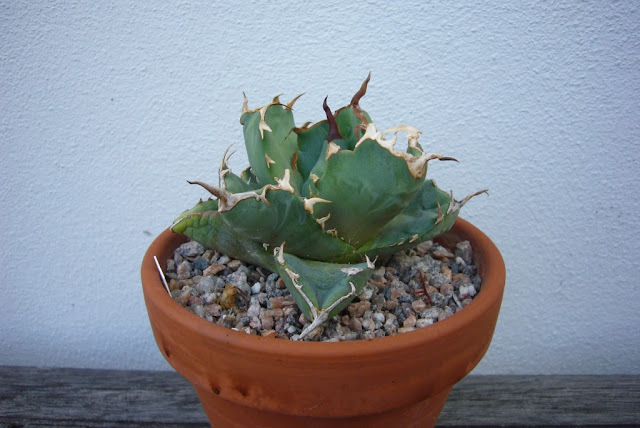 Winter watering is obviously a problem. Getting the right balance between die-back and elongated winter growth needs to be improved. 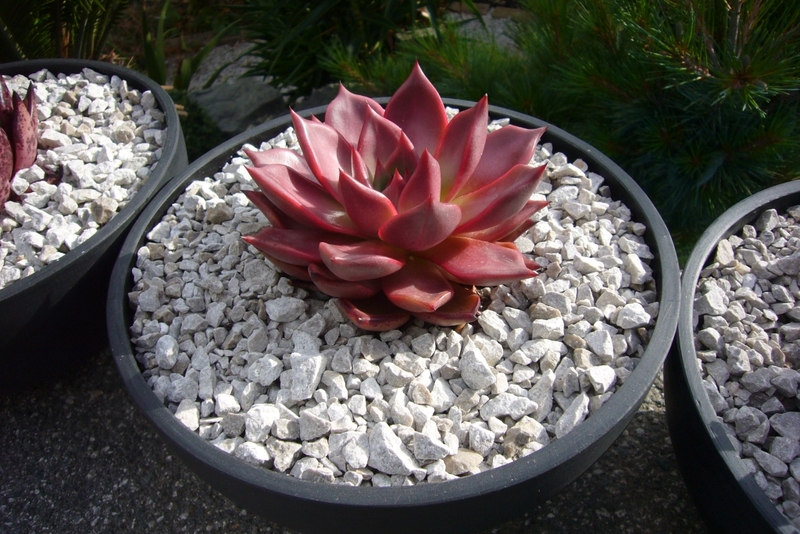 This echeveria cuspidata var zaragoza is great, it just needs to offset a bit more to properly fill the pot. 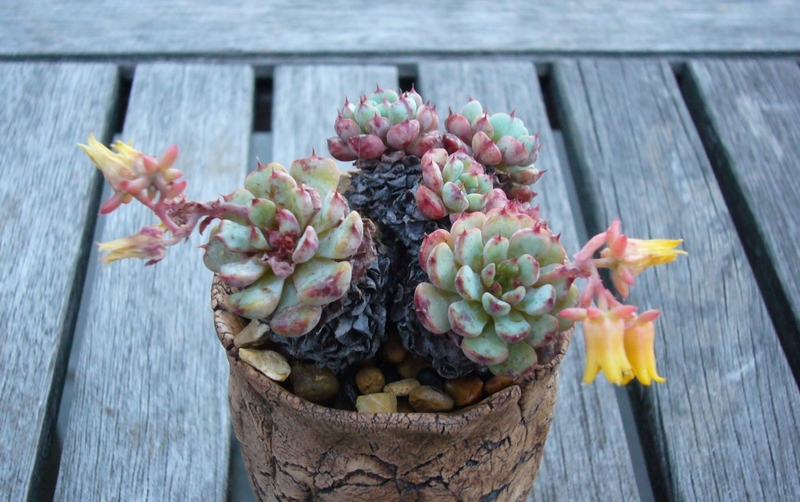 The sedeveria letiza loves its new pot. It has got a bit leggy in places and while there are smaller heads coming through, it is starting to show gaps. The agave albopilosa continues to grow. A few of the terminal spines are starting to turn fluffy. It seems as happy outside as in the green house over the summer. 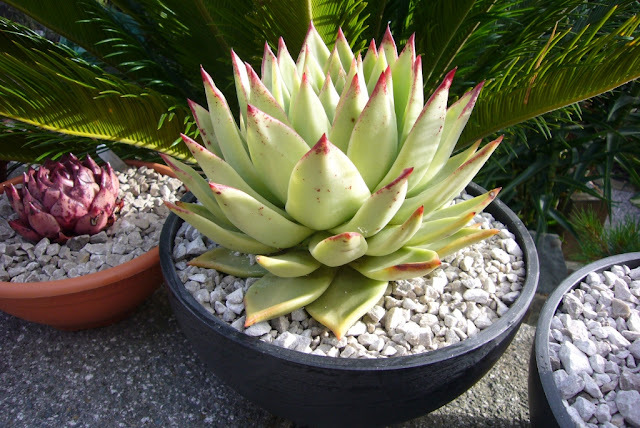 It is funny to think that these were new a few years ago, there have been some great photos of peoples plants, all seed grown and getting to a decent size. 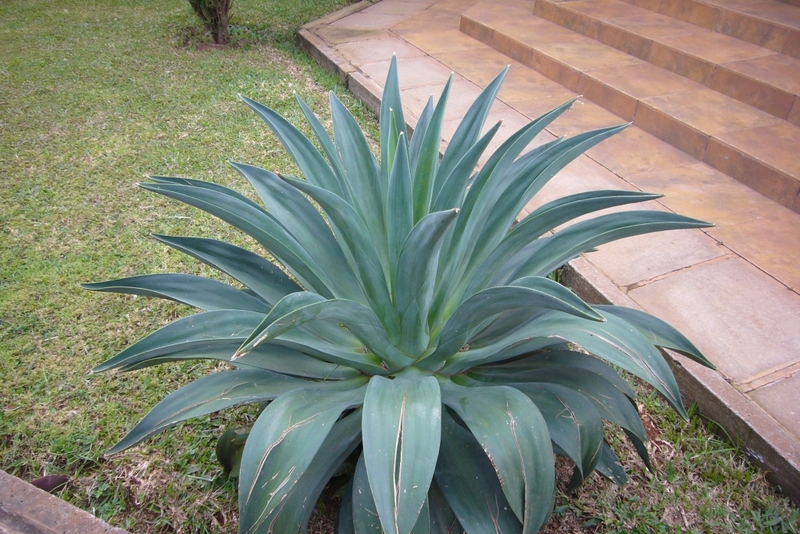 One of my favourite agaves is A. FO-076 (the old agave titanota). My compact form is really toothy now. It has a very similar look to my supposedly variegated mediopicta form, which saldy has lost any sign of variegation. 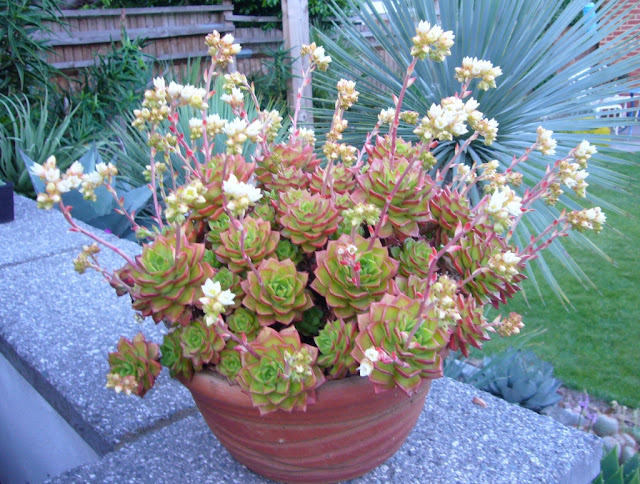 I have tried it in sun, shade and in the greenhouse. 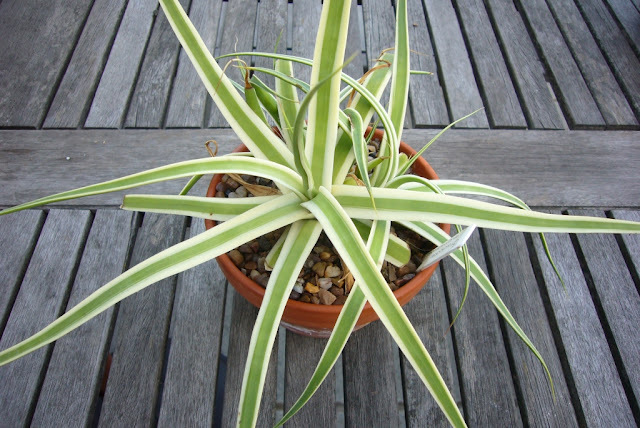 I know that with some plants the variegation varies depending on light levels. 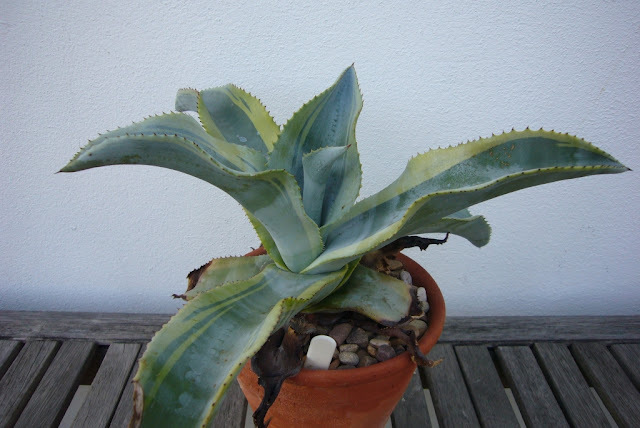 Thankfully so far no signs of my normally variegated plant going plane green. It stopped growing for a while, each time there is an offset, but now seems to be growing at the usual titanota rate. Most of the variegated agaves seems to be coping fine with the sunny summer we are having. 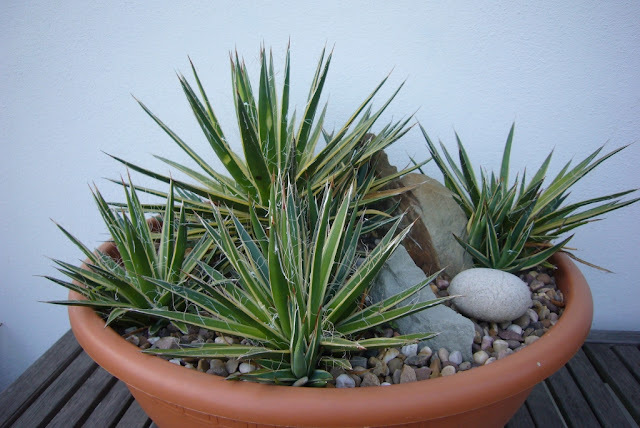 The pot of variegated agave filifera. This is a large bowl, and they are doing their best to fill it. The agave bracteosa monterrey frost seems more keen on offseting than growing. 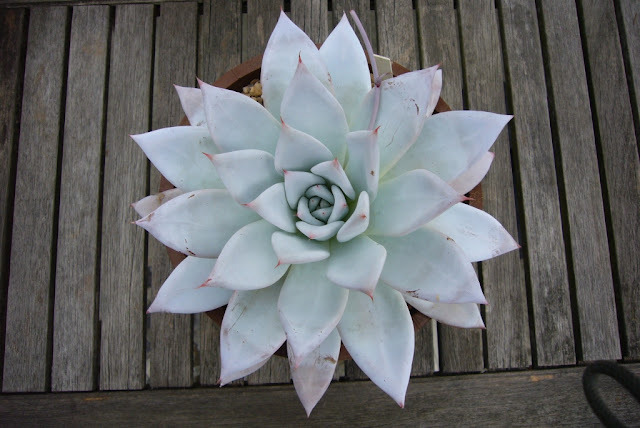 In full sun (Uk sun that is) the plant is a paler green, compared to those in dappled shade. 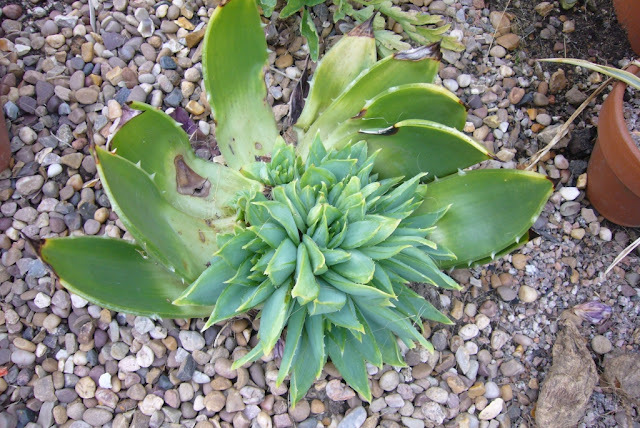 I was looking through old photos the other day, and noticed how much the agave parasana fireball has grown. Parasanas are one of my favourite agaves, so structural. 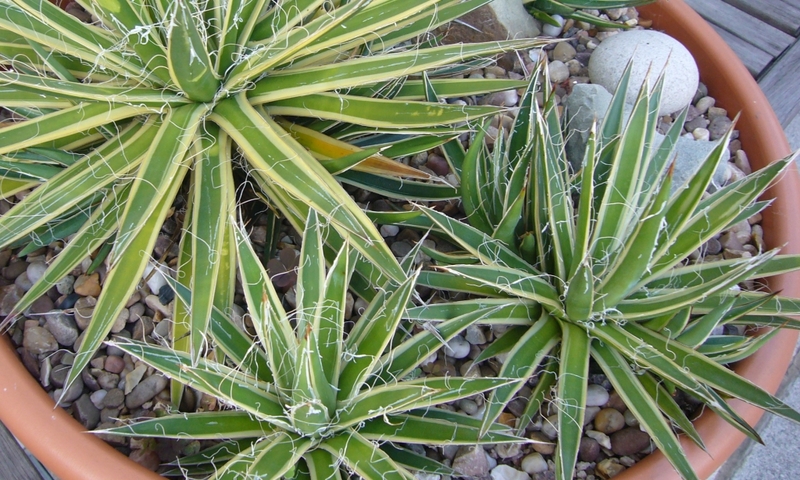 The other more inetesrting variegated agave is the A gypsophila cv lemon and lime. The variegation is getting better, again I am not sure if direct sun or shade is best to bring it out. 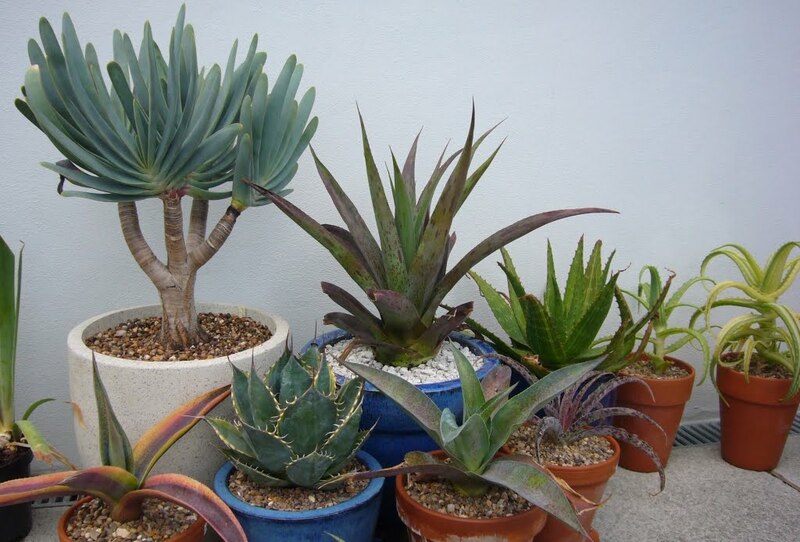 I think that's enough for now, I'll do the aloes next time. There comes a time in the year it can be put off no longer. The other plants have been potted on, the other garden jobs have been finished, nothing left to do but face the white plants. This year is particularly difficult as the echeverias have flowered so well. 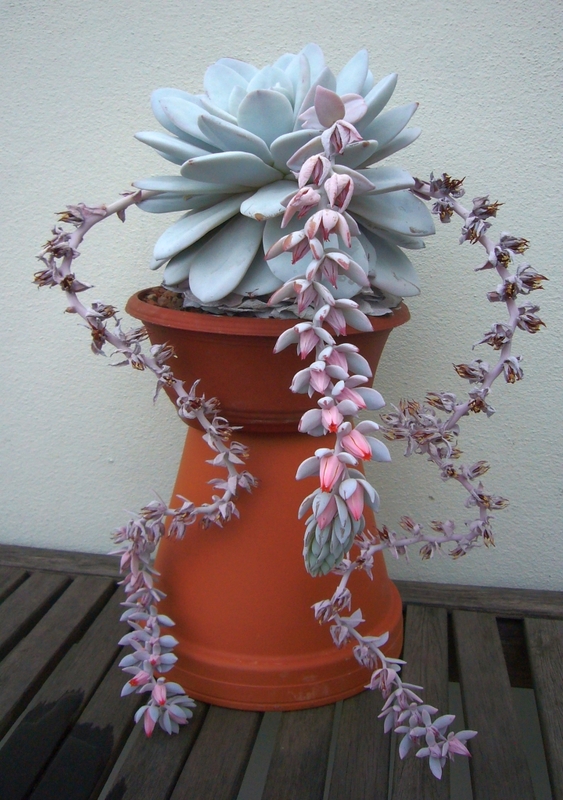 I raised my E. Laui up to allow the flowers to hang down more and it is still flowering now. The plant itself is now almost totally white and doesn't have a mark on it. 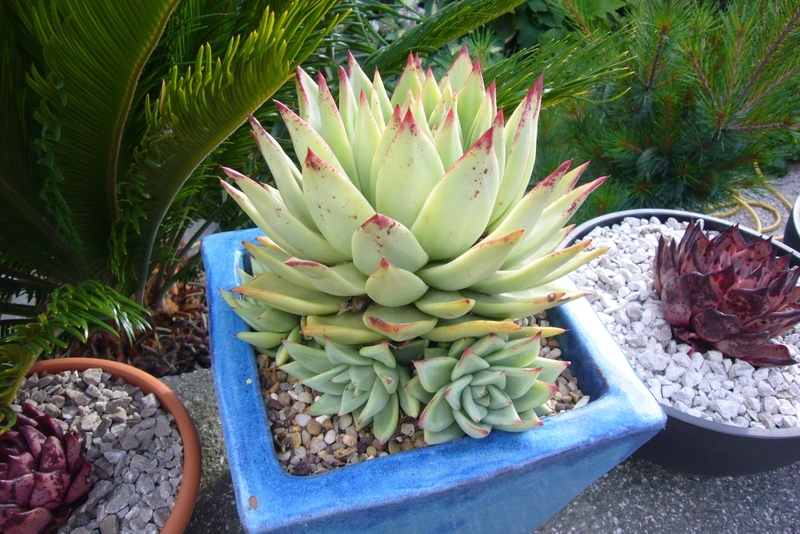 This one can wait another year year before being repotted, but I'm already dreading it. Other plants needed it this year, so onto the job at hand. The hybrid E. subrigida x E. peacocki is still flowering as well. 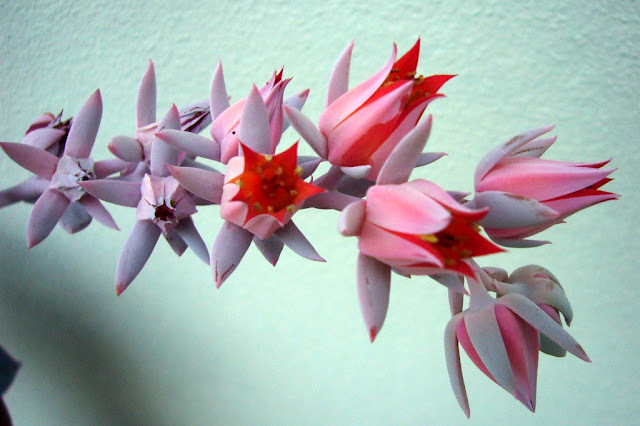 This one has a great flower in which the nectar from the flowers seeps out and makes it look like the flowers are wearing lipstick. Thankfully there was enough space to allow the plant to removed from the old pot and placed into the new one, without having to touch it too much. Next up was E. mexican giant. 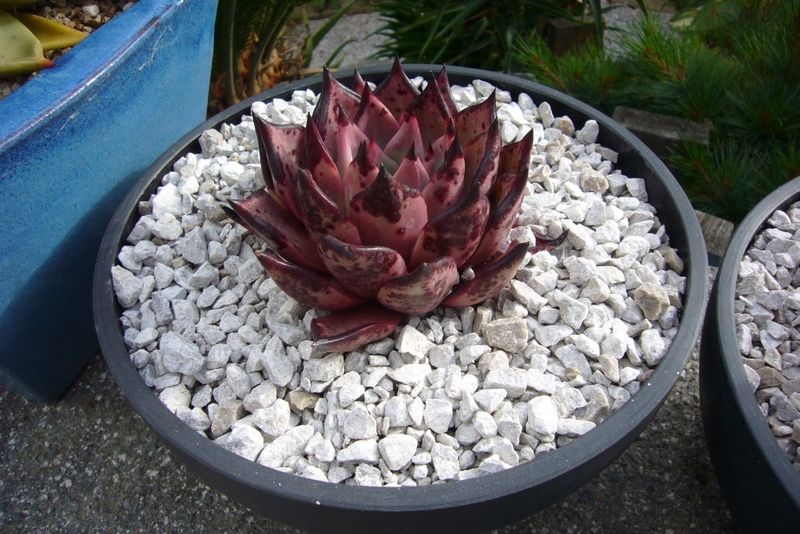 There was not choice but to carefull tease this one out of it's pot and into the new one. Thankfully not much damage to the powder covering on the leaves. 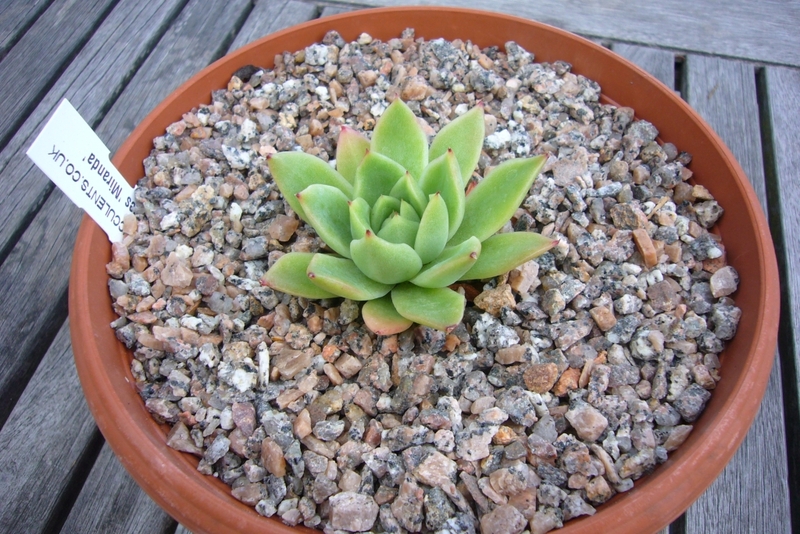 Finally to give myself a bit of a break, E. colorata var brandtii. This one is probaly more blue than white, but still have a thin layer of powder. Again not too many marks after re-potting. 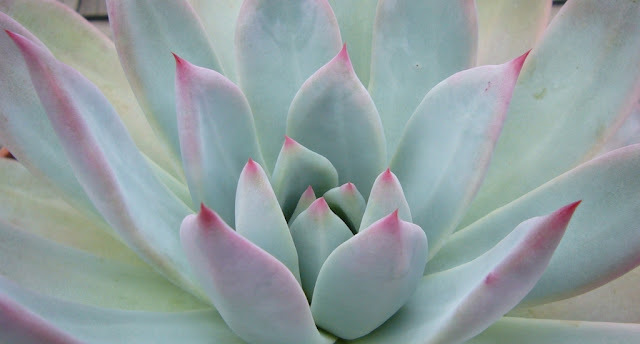 I love the tinge this one has on the tips of the leaves. There is still one to go, my rare E. John Catlin, but I may top cut that one so I will save it for another day. 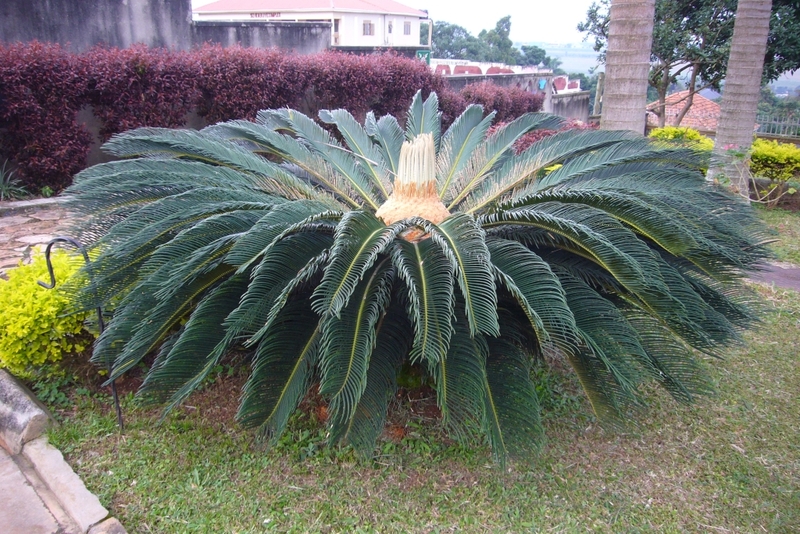 So I have just got back from a work trip to Uganda and I am now thinking my cycad flush is not that impressive. 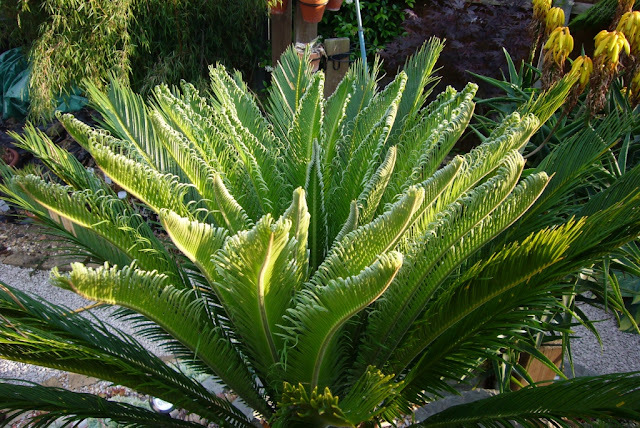 Everywhere you looked there were lovely cycads. 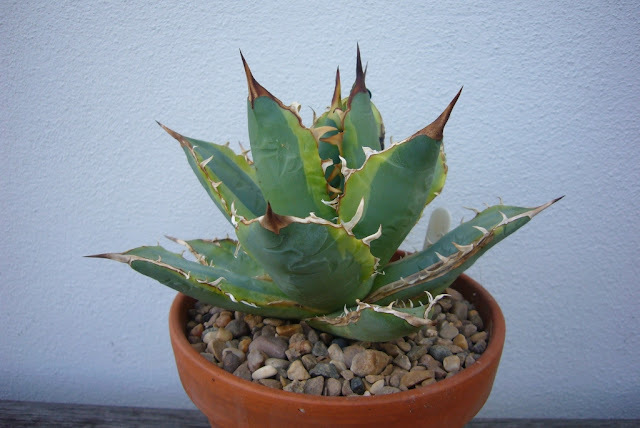 Sadly there were not a lot of interesting agaves or aloes around, this was about the most interesting agave I saw during the week. Notice it has been de-clawed for the guests safety. 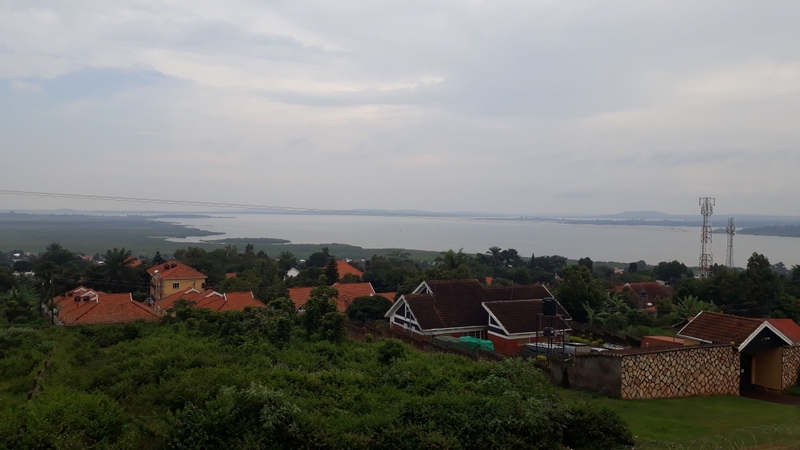 Entebbe is a nice and relaxed place, right on Lake Victoria. So you are surrounded by water on most sides. It was a little strange, London is going through a heat wave and we haven't seen any rain at all for months. Then Entebbe is suppose to be in the dry season and yet it rained almost every day. Apparently they have noticed over the last few years that the weather is less predictable and the whole dry / rainy season descriptions no longer fit. 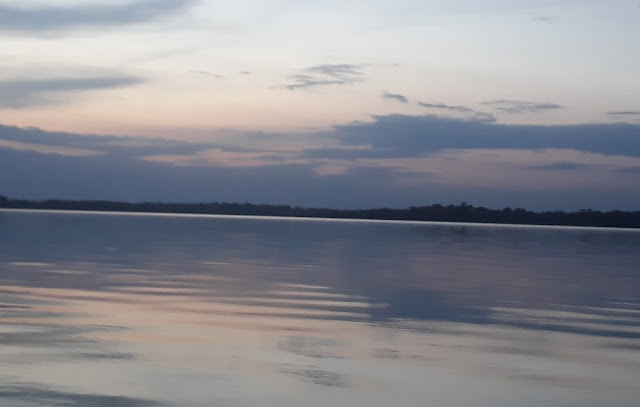 There was not much else to report plant wise, I didnt have time to visit the botanic gardens (one day I will), but for the first time I did make it out onto the lake for a quick sunset bird watching trip. 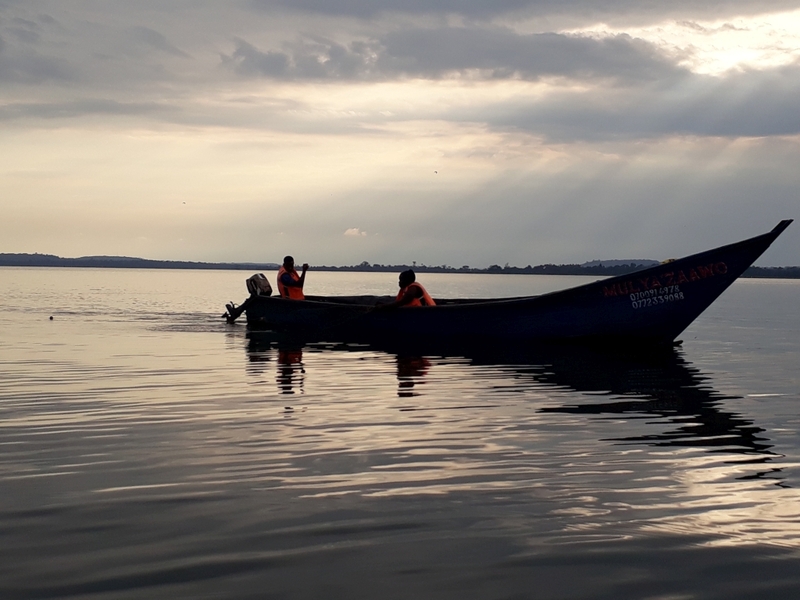 Local fishermen, setting their nets for the night. 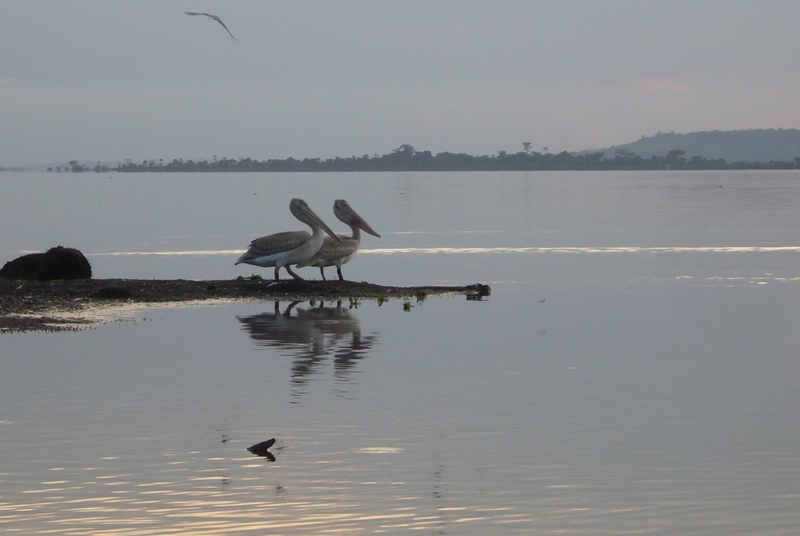 Some of the other local fishers. It is hard to be anything but relaxed when this is your view. 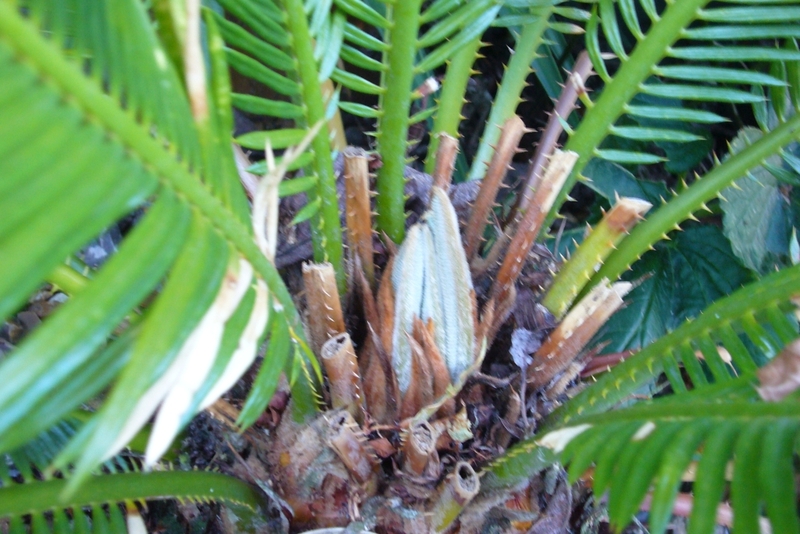 There are two cycads in the rockeries and while they both flush every year, the smaller one flushes at the end of the summer and so the fronds get damaged over winter. 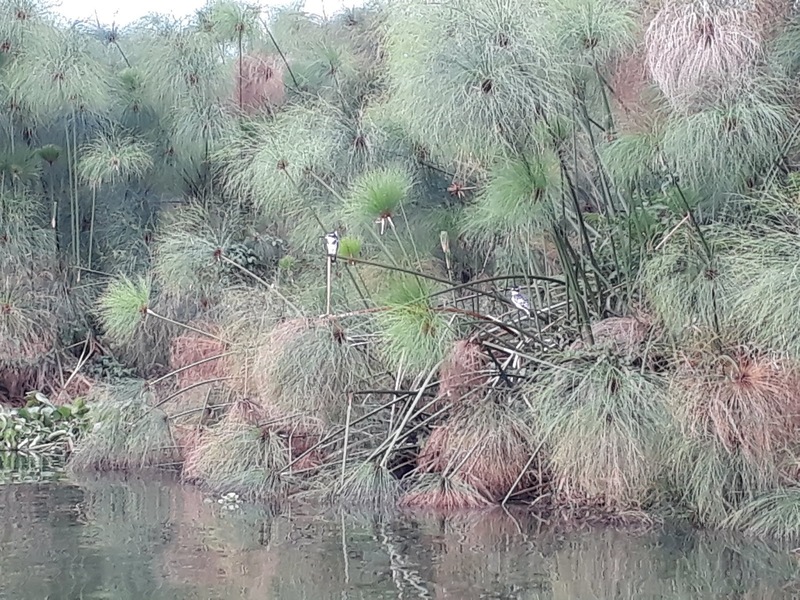 The results in them having to be removed come spring. Finally they are both flushing now so there is more chance of the fronds surviving. They grow at an amazing rate, and have now reached my favourite period for the flush. 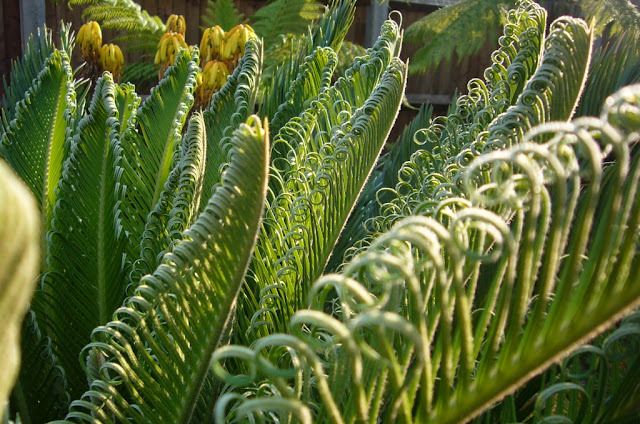 The larger one looks amazing in the early evening sun, and the new fronds gleam. A really good flush this year. They are great at this stage, unclurling and still soft. I want to stroke it every time I walk past. 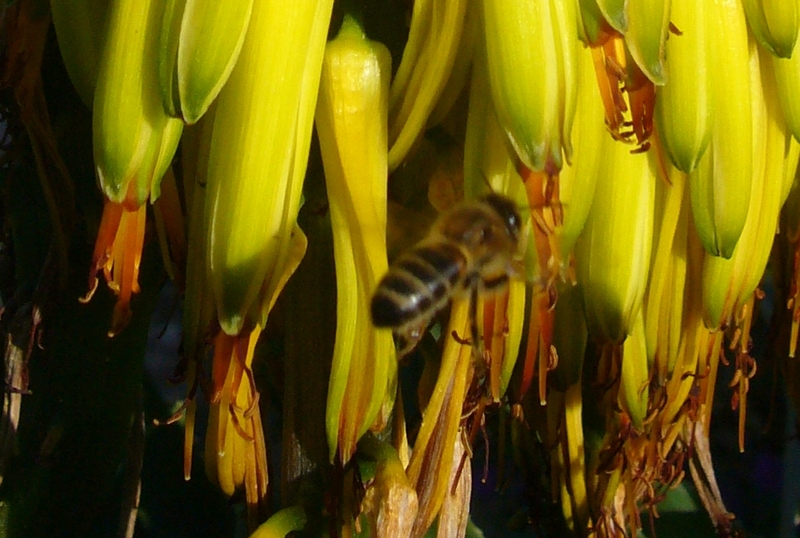 It has been mentioned before, that bees in the garden seem to have very definite tastes. It doesn't matter how bright the flowers, how large, if they smother the plant, or if there is just one. It seems bees like what bees like. 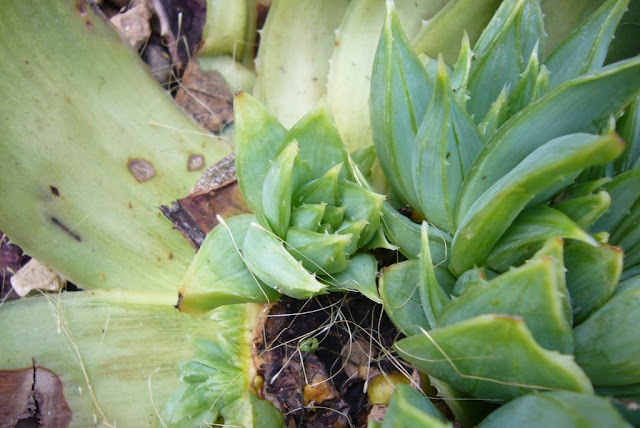 In some cases this is understandable; complex flowers, no nectar or flowering when it is too cold. 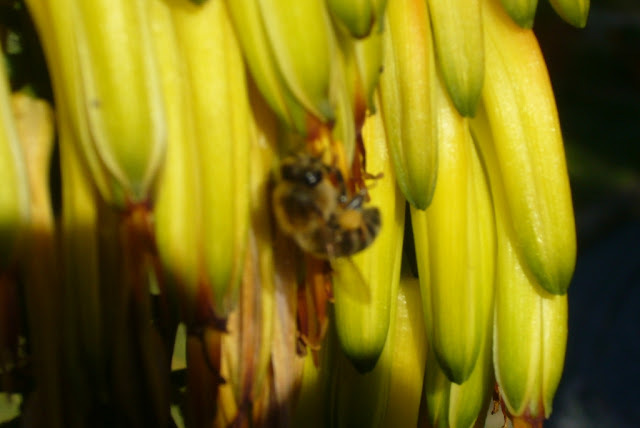 In the case of aloe striatula the lack of bees never made sense. 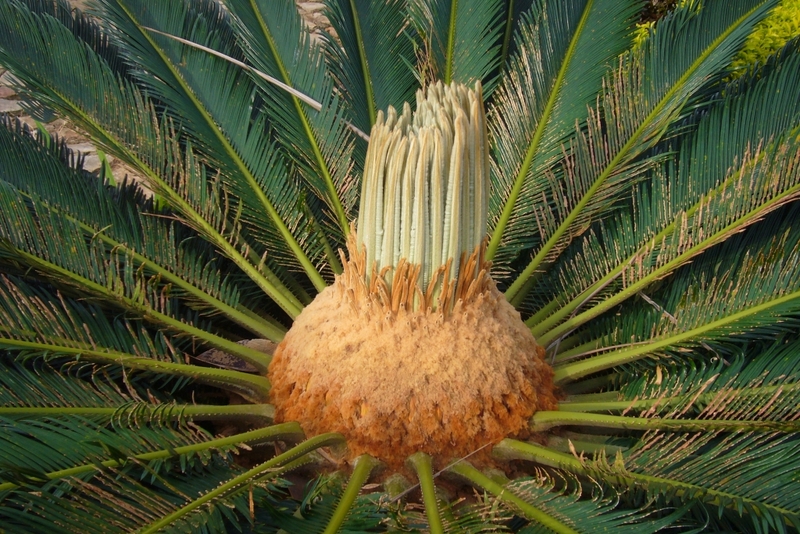 If you have ever looked at A. striatula flowers they drip with nectar, the flowers are covered, the top leaves are covered. If there was ever a plant that provides a perfect bee filling station it should be this one. 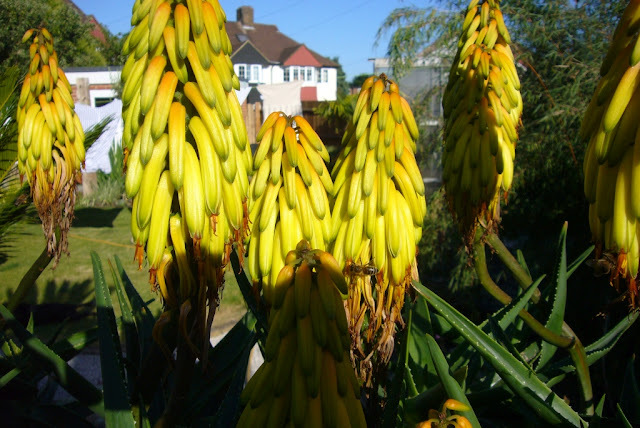 There is the issue that the flowers are not form the UK, they are not designed for bees, but the amount of liquid dripping onto the leaves makes easy pickings. It has been observed that bees tend to stay away from plants they have not come across before and it's only when a bee finds them, perhaps by accident, then reports back that others identify the flowers as a food source. This seems to have been the case in the garden a couple of days ago. From no bees, to bees all over the flowers. 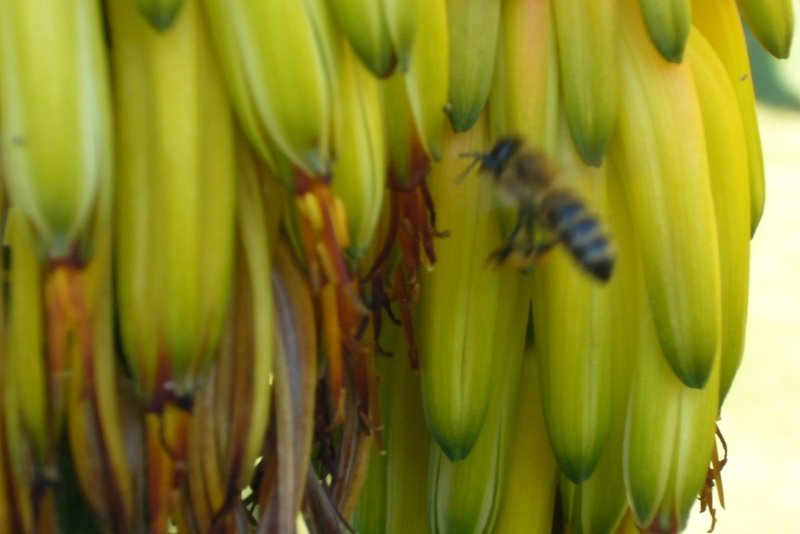 So while no amazing photos, it is great to actually hear the plants buzzing as more bees arrive each day. Maybe they taste is not so curious afterall.